Mouthwatering! Wish I could get fresh Okras here. I have to make do with frozen packs but I love Okra dishes. Your's looks gorgeous and tasty. Thanks Asha! I understand its tough to create magic with frozen ones. Ohh.. I just to love to eat this way first and then next with Sambhar. Thanks HC! 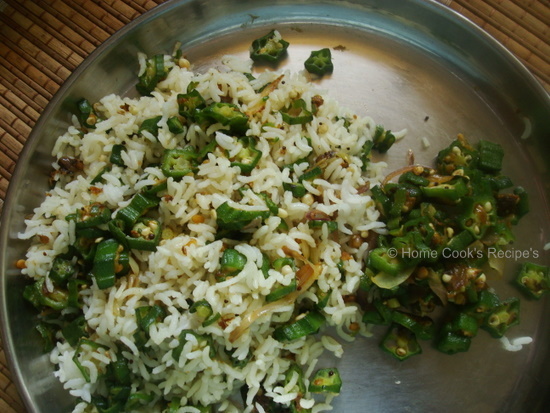 the bhindi curry looks so green and fresh and tempting that I just want to grab it and have it. poriyal looks deliicous and crispy.. This is my favorite. Yours looks wonderful Lavi and after seeing it, cant wait to make some myself. Adding cornflour/riceflour is really a secret that u've shared with us....Vendaka is my fav veggie...poriyal looks green and fresh! Ootya apdiye coimbatore poi irukalamla?! 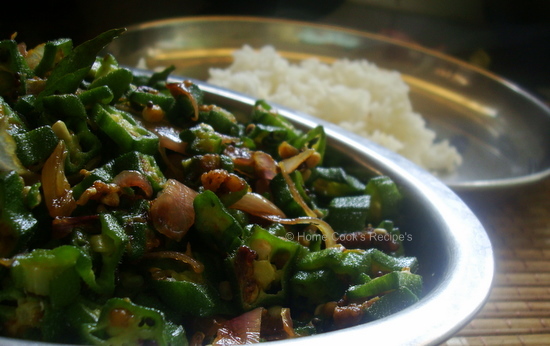 We too make okra with onion, but our method is way diff. from yours.Nice recipe, and beautiful layout and colour combos of the webpage.I really liked the whole feel of your blog . Adding cornflour sounds interesting...will try soon..
really crunchy looking okras. nice tip abt the cornflour. Yeah you are right ,we use rice flour and we also add coconut at the end ...love ur version,it has a neat look! I love to eat with rice/nallennai/ghee !superb picture! Thank god we always have ooty weather here and the veggie are always fresh! I too add rice flour in my vendakka poriyal for the added crispness it gives to the veggies. 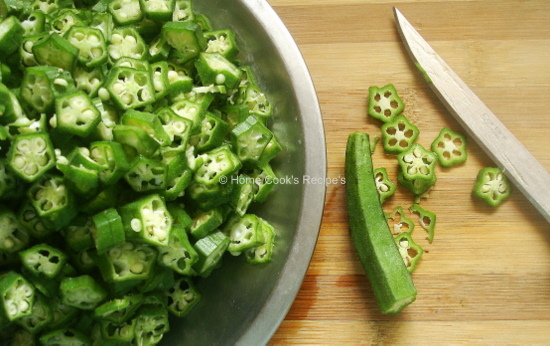 The okra looks so slender and fresh there... Back at Indian Grocery here they turn out to be thick and hairy and very very sticky... Okras are just so perfect to have with rice a simple dish and very comforting!!! Somehow I just hate the okra thats sold out here!!! Nice blog with interesting recipes.. tempting pics.. kaju katli is my favorite..
you got veggies from Ooty,looks very fresh.Love okra dishes..